The Agreement on Trade-Related Aspects of Intellectual Property Rights (or TRIPS Agreement) set the standards for intellectual property protection in the world today. It came into force on 1 January 1995 and is binding on all members of the World Trade Organization (WTO). The TRIPS Agreement sets minimum standards in the international rules governing patents, including on medicines. Countries that are members of the WTO (today, more than 150 countries) agree to certain common standards in the way they enact and implement their patent laws. These standards include, amongst others, that patents be given for a minimum of 20 years; that patents may be given both for products and processes; and that pharmaceutical test data be protected against ‘unfair commercial use’. But the question of what deserves to be patented is left for countries to determine. The Agreement only says that patents should be granted for new, inventive and useful inventions - but it does not define these terms. Deciding whether a new formulation (producing a pill version of a drug that formerly came as a powder, for instance) or a new combination (combining two or more existing molecules into a new pill) deserves a new twenty-year patent for example is a prerogative of countries, and is not determined by the WTO texts. Countries should therefore determine what kind of inventions deserves patents in the area of pharmaceuticals, in light of their own social and economic conditions. Some governments, such as Brazil, Thailand or India, have done precisely that. In today’s world, for many patients, that decision can be a question of life or death. In other words, though there is not such thing as a single international patent law, TRIPS represents a harmonisation of patent laws. The industry had been pushing for this kind of move for decades. It’s a one-size-fits-all policy that aims at extending the stricter patenting laws previously used in industrialised countries to developing countries, regardless of their radically different social and economic conditions. Developing country members of the WTO generally had until the beginning of 2000 to implement TRIPS. Some countries were given a longer transition period – those like India that did not grant patents on pharmaceutical products were given until 2005, and least-developed countries were initially given until 2006. Implementation of the TRIPS Agreement’s intellectual property standards is having a considerable impact on access to medicines and public health. By limiting competition and local manufacturing, the danger is that TRIPS extends high drug prices and worsens the access to medicines crisis. 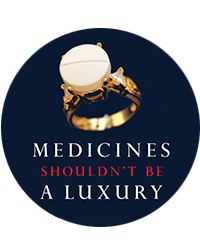 With TRIPS, life-saving medicines are considered in the same vein as mere consumer goods and the devastating impact of high prices is mostly ignored. The balance between the private interests of the patent holder and the larger interests of society is severely skewed. It didn’t take long for the issue to come to a head. In 2001, at the annual ministerial meeting of the WTO in Doha, Qatar, countries agreed to redress that imbalance, and firmly restated the primacy of health over commercial interests. The Doha Declaration reaffirmed countries’ right to use TRIPS safeguards such as compulsory licences or parallel importation to overcome patent barriers to promote access to medicines, and guided countries in their use. One final significant achievement of Doha was to extend the deadline by which the least developed countries had to grant and enforce pharmaceutical patents, from 2006 to 2016. This deadline needs to be further extended or they will face the same difficulties that other developing countries already contend with in accessing medicines. Despite the Doha Declaration, in recent years, many developing countries have been coming under pressure to enact or implement even tougher or more restrictive conditions in their patent laws than are required by the TRIPS Agreement – these are known as ‘TRIPS plus’ provisions. Countries are by no means obliged by international law to do this, but many, such as Brazil, China or Central American states have had no choice but to adopt these, as part of trade agreements with the United States or the European Union. These have a disastrous impact on access to medicines. Common examples of TRIPS plus provisions include extending the term of a patent longer than the twenty-year minimum, or introducing provisions that limit the use of compulsory licences or that restrict generic competition. One of these provisions is known as data exclusivity. This refers to exclusive rights, granted over the pharmaceutical test data submitted by companies to drug regulatory authorities for obtain market authorisation. It means that information concerning a drug’s safety and efficacy is kept confidential for a period of, say, five or ten years. If a generic manufacturer wants to register a drug in that country, it is not allowed simply to show that their product is therapeutically equivalent to the originator product. Instead, it must either sit out the exclusivity period, or take the route of repeating lengthy clinical trials to demonstrate the safety and efficacy of the drug – trials that have already been undertaken. This happens even when the originator product is not patented. In other words, data exclusivity is a backdoor way of preventing competition, so that even when a medicine is not protected by a patent, a pharmaceutical company will receive a minimum period of market monopoly when artificially high prices can be charged. Data exclusivity and other TRIPS plus provisions are frequently pushed as a part of free trade agreements between developed and developing countries.